Every week, I perform a free Adwords audit to help a small business in Perth. Today I’m helping a bookkeeping company called Phoenix Consultancy. This review is based on the keyword “bookkeeping perth”, performed on 1/10/2017. So what can Phoenix Consultancy do to improve their Adwords campaigns? What’s the Aim of the Ad? The first thing to review is whether the objective of Phoenix Consultancy’s ad is clear. In the case of a bookkeeper, I would say their main objective should be to get a potential customer to book a consultation. Their Ad does have an interesting benefit of 5 hours of free bookkeeping. The ad doesn’t ask the viewer to call them or that they can book a consultation. The landing page, which is the home page doesn’t mention the 5 hours of free book keeping. Let’s Evaluate The Effectiveness of Their Ads? The next thing to review is whether Phoenix Consultancy’s ads have been written effictively. The Google Adwords program rewards advertisers that have a high click through rate (CTR). One of the main things that can influence CTR is having the keyword the user types in the ad itself. Let’s Check The Landing Page Optimisation? 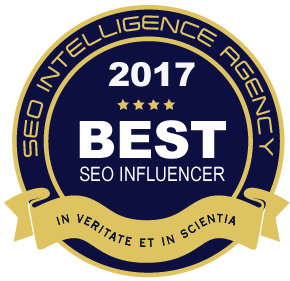 Another factor to look at is whether the landing page includes the keyword. 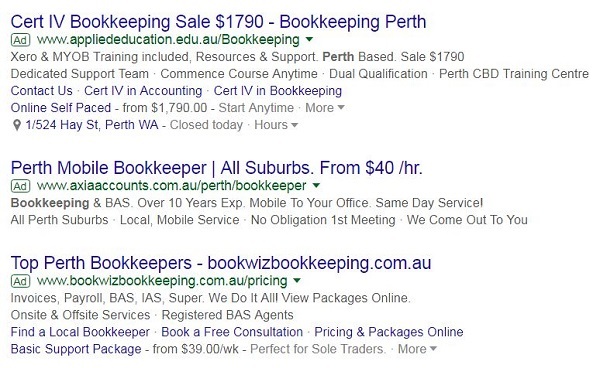 3) Based on the above Phoenix Consultancy should update their landing page to include the keyword bookkeeper Perth in the meta title and description tags, H1 and body copy of their page. This will reduce their cost per click. The final factor I’m going to look at is sitelinks. Sitelinks are easy to setup and boost CTR’s but surprisingly a lot of small businesses aren’t using them. I hope you’ve found this free Adwords audit insightful. You can contact me here.